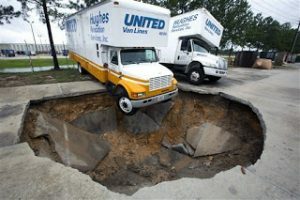 Data Center relocations are fraught with risks. Unlike other organizations within the enterprise that might have more mundane equipment such as desks, book cases, and file cabinets, data center operators and IT staff must have everything go smoothly. If the move doesn’t go as planned, troubles can range from costs associated with replacing or fixing broken servers to company downtime because critical data and applications were lost in the move. And remember, since this is not a project you do everyday, make sure to bring all the critical people to the planning events. IT staff must work hand-in-hand with facilities or project management staff employed on these “special projects”. 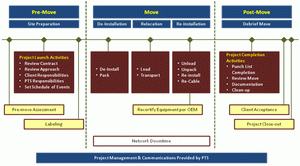 The worst scenario is one in which management and/or specific project managers oversee all the elements of the move but don’t see or understand the complexity of the IT migration or the need for specialized IT moving personnel. Also of concern, have your IT staff look at the age of the IT infrastructure. Old servers, switches, and storage devices which are already out-of-warranty are a major risk when subjected to the strains and stressed evident in an IT relocation. Planning activities should consider what, if any, IT infrastructure should be replaced with new, in warranty equipment that is less likely to fail during the data center move. This is also a great time to consider reducing the overall footprint through server or storage consolidation using virtualization technologies. Not only does this reduce the burden in terms of items to move and, therefore, relocation cost, but it’s a great way to replace older physical servers with virtualized servers running on new virtualized hosts, eliminating the need to move those old server. Finally, even superior planning cannot offset the unexpected failure. Contingency planning is critical when relocating mission critical assets and should be a core component of your data center relocation plan. Know what you will do ahead of time if a server doesn’t start-up, a UPS fails after them move and re-commissioning or theft means a lost data store. Planning for a failure is better than scrambling when it occurs.